It is essential to know your skin type in order to know which products to use, so as to achieve the perfect skin. The four major skin types are: Normal skin, Oily skin, Combination skin and Dry skin. Remove all make up and wash your face with a gentle cleanser. This cleans away oils and dirt that may have accumulated during your day, giving your skin a fresh start. Wait for about an hour. During this time, your skin should return to its natural state, which will determine your skin type. Pay attention to the ‘T-zone’–the area of your forehead and nose. Shows neither oil nor flaking skin. It should feel supple and smooth. Characterized by the grease on the tissue or blotting sheet. It is also common for a person with oily skin to have large pores and a shine. May feel taut or show flakes of dead skin. It is associated with small pores. Moisturizing is important for this skin type. This is the most common skin type. It exhibits traits of all three of the above skin types. Usually, the skin is oily in the T-zone and normal to dry elsewhere. If you have sensitive skin, your face reacts easily to regular skin products. 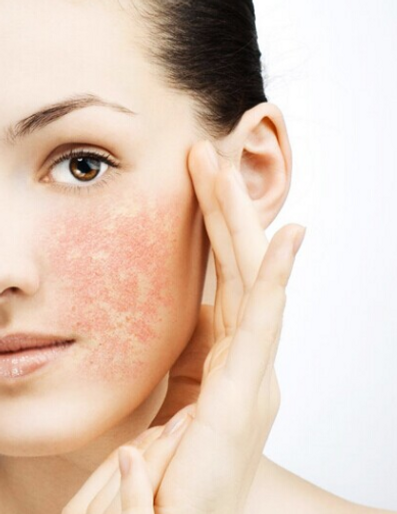 This means that when you use regular skin products, your face will get red, itchy, or a rash could form. Even if you’re not a teenager, you may still get pimples/acne, especially if you have an oily skin type. If you have acne-prone skin, look around for a good acne products. So, whats your skin type? If all these steps still leave you skeptical about your skin type, please do seek professional help. Come down to Supreme Q.X. Beauty Spa for a free skin consultation!